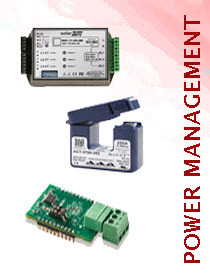 This part is made up of the following items: 1 x SE-WND-3Y400-MB-K1 1PH/3PH 230/400V SolarEdge Modbus Meter 1 second K1 3 x SE-ACT-0750-250 250A Split-Core Current Transformer 1 x SE1000-RS485-IF01 SolarEdge RS485 Expansion Kit 20 x RS485-1M Double pair genuine RS485 cable 1M – 4 cores This kit is a full monitoring package for Solaredge commercial systems that allows full recording and display of energy generation and usage. 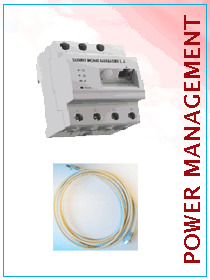 Ensures that the complete system is performing at its maximum potential and enables optimisation of energy consumption. Subject to the approval of your local DNO this package may be used to limit the power export of the system to a value agreed with the DNO. e.g. a 100kWp PV system with 85kW of inverters could be limited to 75kW of AC export power if that is required by the DNO. During periods of self consumption, e.g. Monday – Friday, sufficient power is likely to be used by the property and so no limitation is applied but during high generation and low self consumption periods the system will automatically trim the maximum export power to a DNO defined limit. With most commercial buidings this ‘lost’ energy will be a very small percentage of the total annual generation and the benefit of having additional generation capacity most of the time will far outweigh the lost generation during other times. 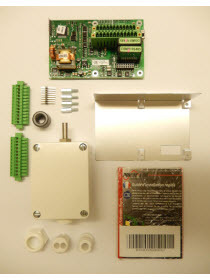 Note: This kit includes 1x RS485 Expansion Kit, which means its only suitable for systems with 2x inverters. 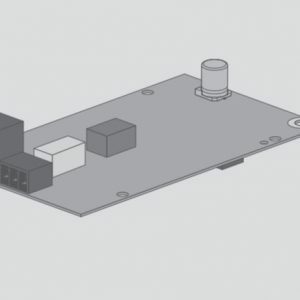 If more than 2x inverters on site additional RS485 Kit per inverter will be required, if only one inverter on site this part will not be required. 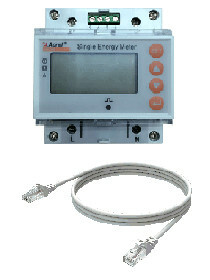 A 20m length of RS-485 cable is included for connection between the first inverter and energy meter, and for connecting the inverters in the bus. Please check if this quantity is sufficient. 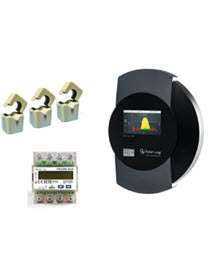 Supplied with 3 X 250A current monitoring clamps suitable for installation on properties with up to 250A per phase power supply. Current clamps should be sized according to incoming grid supply in the property, please check if these are sufficient before buying. Please note smaller CTs are available.